In the grand scheme of things, the USB Flash Drive and modern gaming consoles were created at very similar times in history. As such, it’s no wonder the two work so well together. This post takes a look at the top 3 benefits that the USB Flash Drive can offer to Gamers around the world. The latest consoles in the Microsoft Xbox and Sony PlayStation ranges come with a lot of storage space. However, for the serious gamer this sometimes isn’t enough. Enter the USB Flash Drive. 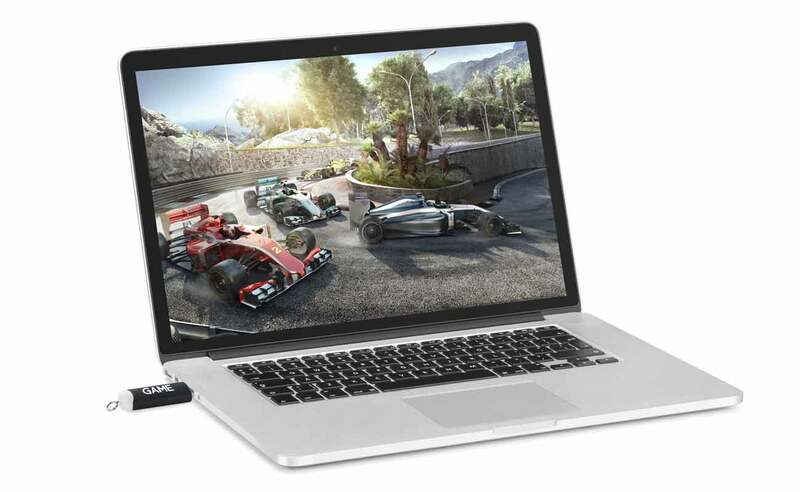 With capacities of up to 128GB the Flash Drive is a handy, portable storage option for the keen gamer. Load up your USB Flash Drive with your favourite games and never let boredom strike again. Simply plug into your laptop or a computer and you can kill time, or zombies, wherever you like. Perfect for times when you’re travelling and don’t have a reliable internet connection. Problem; you’re getting pressure to be social and interact with others but you still want to play your favourite game. Solution; save your game progress to your Flash Drive and you can pick up where you left off later. These are our favourite uses for the Flash Drive when it comes to gaming but we’d love to hear yours. Let us know via our comments section below. If you’d like a quote on a genuinely useful corporate gift please fill out our Quick Quote Form. One of our dedicated Account Managers will then be in touch as soon as possible to discuss your needs.